Bradley-Mason LLP are keen to help out in the local community and so currently sponsor a number of talented teams and individuals. We hope our contribution will help them achieve success within their chosen field and possibly go on to a world stage in future years. 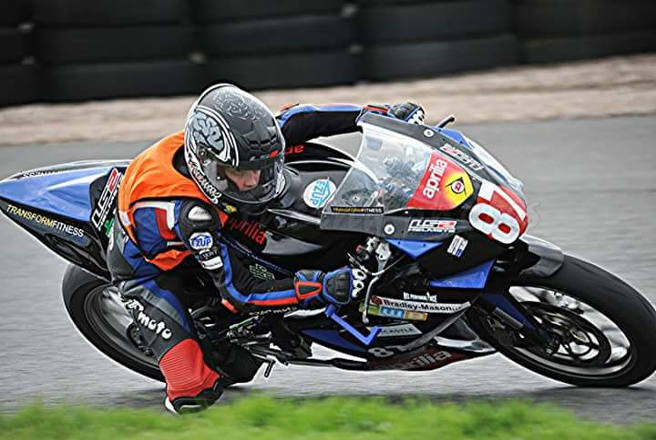 We are very proud to be able sponsor young motorbike rider Jake Hopper. Jake is heavily involved in working for the Bikewise campaign which is run by Durham Police. Jake recently achieved his clubman license and has been competing in championship races on his Aprilia 125. Honda have also invited Jake to ride in the Race Of The Year at Mallory Park. Click here to read our latest update on Jake Hopper for more information. Stamford Bridge Under 12’s again being sponsored for the second time by BM with a brand new kit, have had some new team members this season strengthening midfield and new Management with Tony now taking the helm with his calm, encouraging but determined manner. They continue to battle every game in all weathers coming across some really strong opponents this season, their increasing determination grit and battle is showing in every match, and their fitness levels have increased massively. The girls who make up the team come from 4 different schools in the surrounding Stamford Bridge area. The team currently has 12 girls on their books and they train on Friday nights with Saturday morning matches. The girls sit halfway in the York Mitchell League with about 6 matches to go, so there are still a few places to be had. 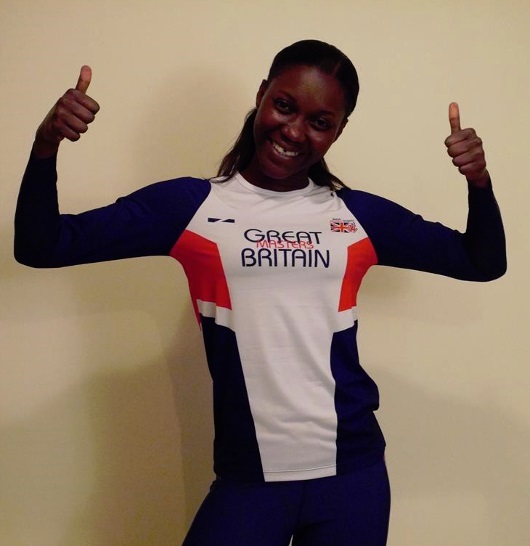 Naana has trained and competed as a sprint athlete for many years in the UK league at a high level, representing Leeds city and Leeds Metropolitan University. She is experienced in Olympic Weight Lifting techniques and is an expert in the development of power and speed. Naana recently competed in the British Indoor Masters Championships in London winning Silver in both 60 and 200 metres. She is now looking towards the British Outdoor Championships in August and the World Masters Championships in Malaga in September. Near to Julian’s family home of Bolton, near York, BM are one of a number of sponsors of the ground. 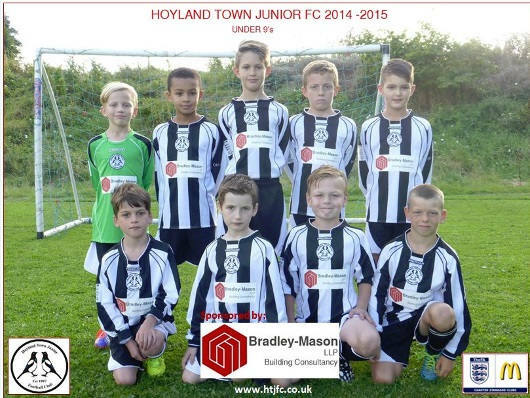 Hoyland Town Junior FC were established in 1997 and have a total of 18 teams from u7’s to u18’s as well as a men’s team. Based in Hoyland (near Barnsley) they are a FA Charter Standard Club and are an essential part of the community offering opportunities for all with FA-qualified coaches as standard with a priority on child welfare. 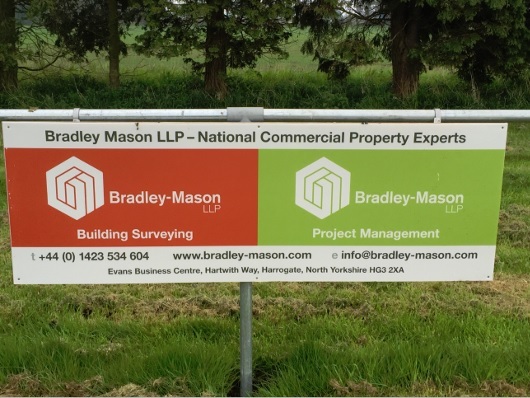 Bradley-Mason LLP have sponsored their current under 10’s for the last 2 years and we are delighted to announce that we will be continuing our association for a further 2 years starting from 2016 -2017 season. 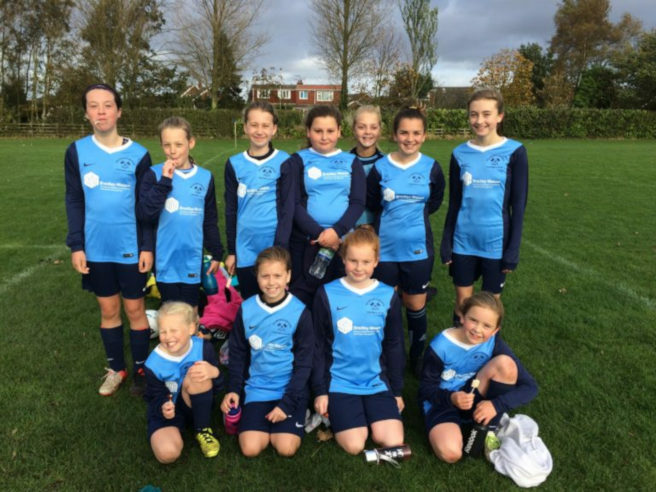 “Grassroots football is an essential part of the community here in Hoyland and what cannot be underestimated is the self-confidence and development that been part of a team brings to them at such an early age. Since the team started at under 7’s the children have developed both physically and mentally with a strong ethos on teamwork and friendship. We play in the Sheffield & District Junior League and whilst at this age there is no competitive element with the emphasis on enjoyment and development we are currently seeded amongst the top teams in our age group. 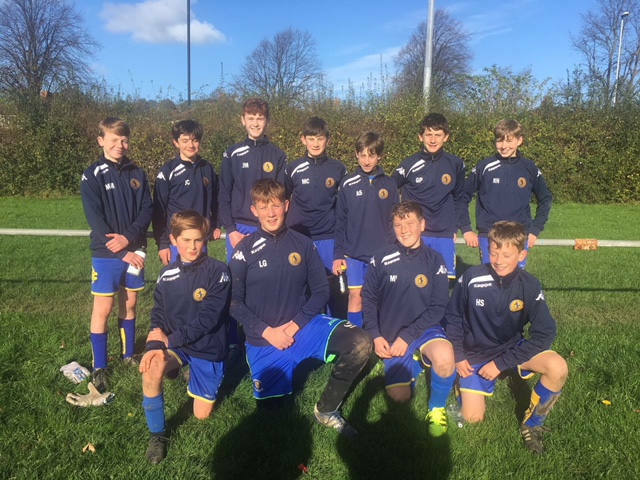 Horsforth St Margaret’s boys under 14s are made up of 15 players in the squad and are currently in the Garforth Junior League Div 1. Seen here modelling their BM sponsored shirts, this season they’ve played 5 league games, won 4 and lost 1. They’re also in the semi-final of the Bradford & Wharfedale Cup, as well as making it through to the semi-final of the Garforth League Cup.